Today some mixed media. This is my 100. art trading card (3.5" x 2.5") which I have painted. And I have used both of my favorite paints. Watercolor and acrylics. 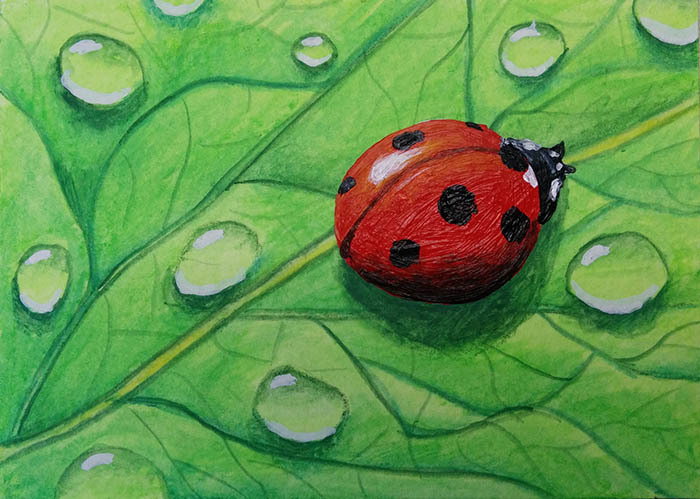 The leave and the droplets are done with watercolorpencils and the ladybug is painted with acrylics.